Let’s go to Lake Rausu! 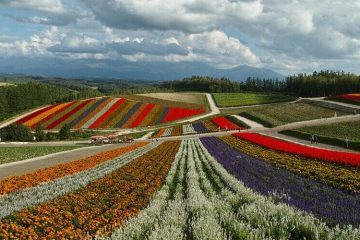 On the way to Rausu from Shiretoko pass, by means of the Shiretoko Odan road, you will find the trail which leads to Rausu. Walking the unbeaten path of snow, stepping over the trunks of Russian rock birch, and through Siberian dwarf pine woods, I cross 4 swamps. 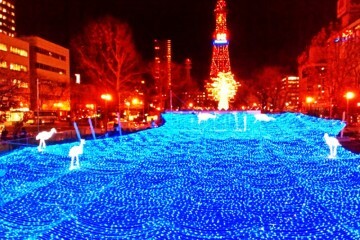 The first of which, is “Ni no Numa”. It was still covered in snow! 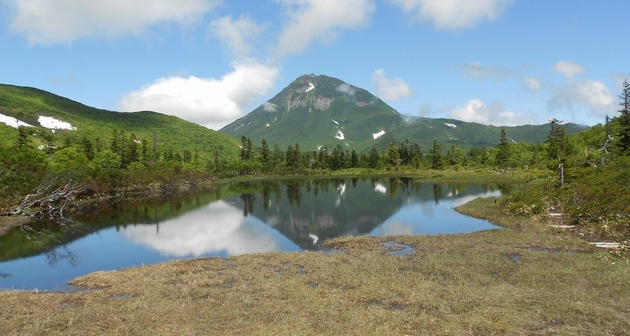 Because there was no wind, we could clearly see the upside down reflection of Mount Rausu, one of the 100 Famous Japanese Mountains, in the waters of “San no Numa”. The Illusory “Lake 3.8”, and what about the Cherry Blossoms?! In spring, the snow melt was not very far along and part of the wooden road was covered in snow so we needed to change our route. Usually, you can proceed by trekking through the bush. 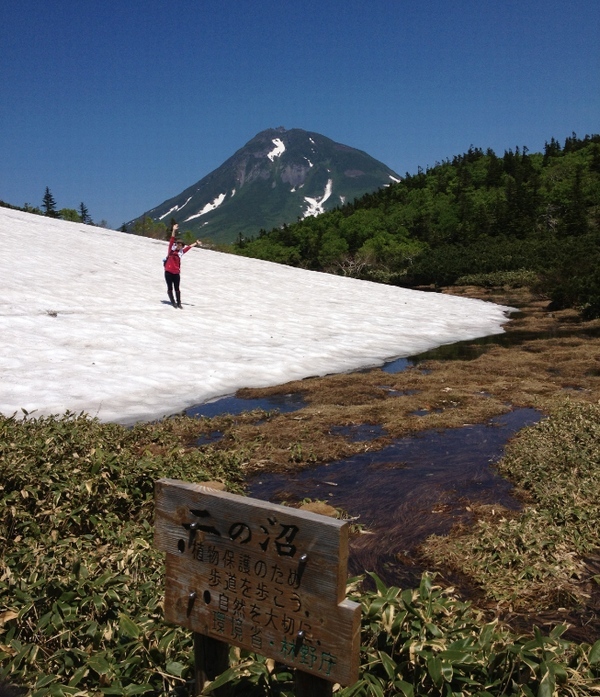 This picture was taken in-between “San no Numa” and “Yon no Numa”, or “Lake 3.8″ (so named by my guide), which can only be seen when there is snow on the ground. At Lake 3.8, we came across two women who were traveling on a girl’s trip. 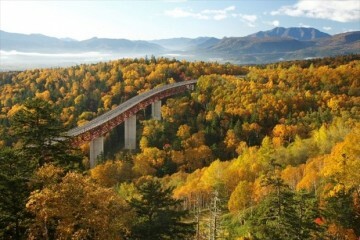 One of the women was attracted to the nature of Shiretoko and relocated to the peninsula, while the other married a man from Rausu, and had become obsessed with nature walks since moving to the area. 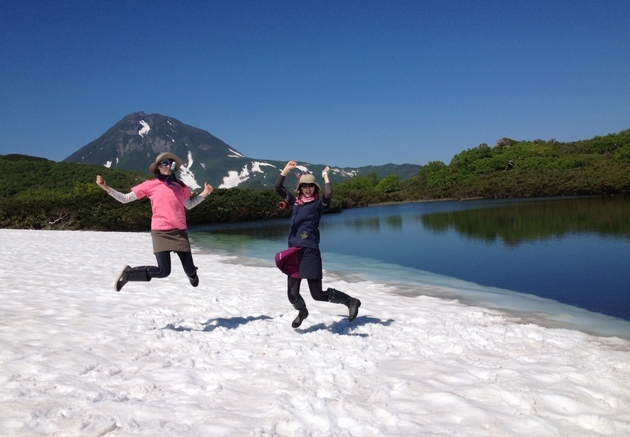 Both women, took a day off, and were enjoying the nature of Eastern Hokkaido, including Shiretoko. And here we have, what I came for. 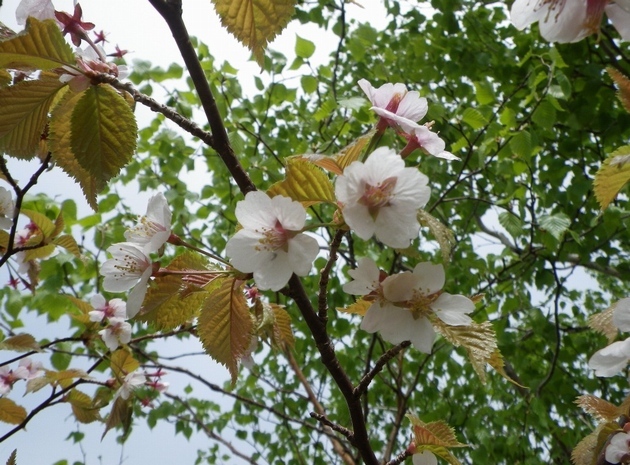 The cherry tree blossoms…were already in full bloom. Once again I was unfortunately unable to hear the popping sound as I had hoped! 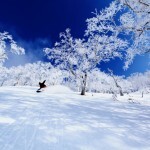 But, I hear there are some trees which are still buried under snow, so I think I would like to challenge again! It has now been an hour since my trek started, I was tired but I felt revived by seeing the cherry trees. “Yon no Numa”, inhabited by hare’s-tail cottongrass and floating bur-reed. The trail began to change little by little, until it seemed to change into a meadow. I thought there was something hopping around my feet and it turned out to be a frog! 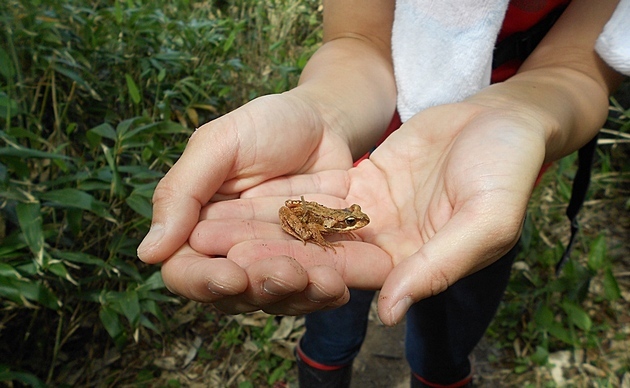 It was a Hokkaido frog which had hatched from its egg on the trail by Lake Rausu, which is an area abundant with water. We finally came to Lake Rausu after passing “Go no Numa” where there was some Asian skunk-cabbage. Finally, we arrived at Lake Rausu. The open sky overhead, and Lake Rausu which was so big as it stretched out before my eyes. The sky was reflected on the surface of the lake. A magnificent scenery had been waiting for me. There was snow left on the mountains, and the air was fresh and pleasantly cool. All your worries and exhaustion will be blown away with the wind! 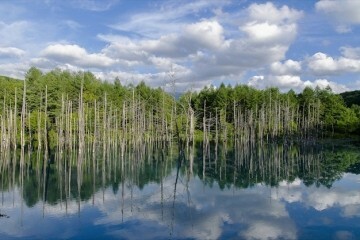 On days with good weather at Lake Rausu, as you can see, the blue sky is refreshing. However, on cloudy days, it is also magical in a different way, and the stillness is even more pronounced. 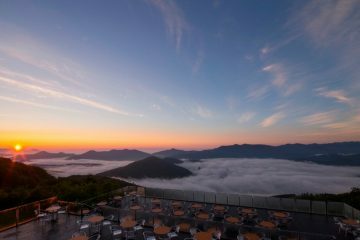 You can see the divine figure of the sun as it shines through the thick clouds, imparting a truly special experience. On the one hand, I don’t want this uncharted region to be spoiled, but I also hope that many other people will be able to have the same experience as me. What do you say, why don’t you come to the Shiretoko Peninsula so you can have your own valuable experience? I’m guessing if you’ve read this far you must be thinking that you too would like to go to Lake Rausu! 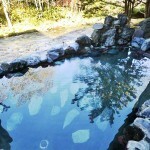 So from here on out I will introduce you to some things that I would like for you to know about trekking to Lake Rausu. – When should I go? 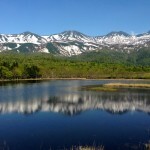 Generally, the Lake Rausu trek is in operation from June to early October. In addition, there are also companies which provide snow shoe trekking tours during May, when the area is still covered in snow. – What kind of equipment and preparations will I need? *Clothing; You will be trekking on mud and depending on when you go there may be snow on the ground so you will need to bring long boots and I strongly recommend some dirty rain paints (most of the local tour companies can lend you some long boots). Also, even in summer there is bad weather and both morning and evening can be chilly, so you will need to prepare a fleece or summer sweater. Also, in case of rain, you should prepare some two piece waterproof rainwear (sudden changes in weather are very common). *What to bring; Basic things that you would need on a trail, such as drinking water, portable food, a hat, a towel, a pair of working gloves or some other kind of gloves and a backpack so that you’re free to use both of your hands. – Is there any toilet on the way? No, there is no toilet on the trails. I recommend you to take pocket size disposable toilets. – How much do I have to walk? 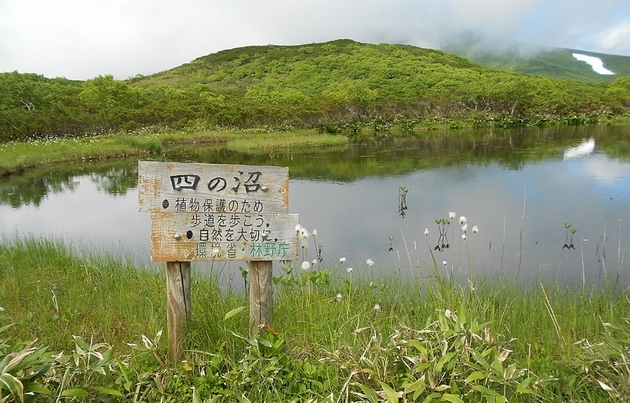 From the entrance of the trails to the Lake Rausu trail to Lake Rausu it takes approximately 3 kilometers or 90 minutes one way, to reach the lake. In terms of distance, it’s not that far, but there are many places where it is muddy and difficult to walk, so I think you should prepare yourself for a serious trek. 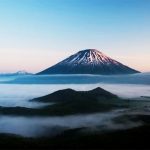 – Can I go to Lake Rausu on my own? 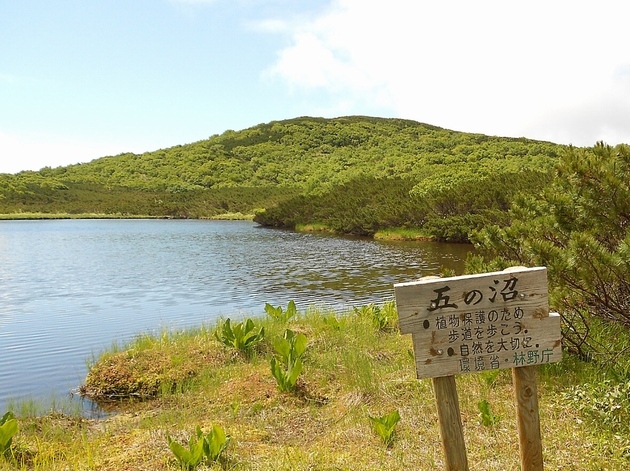 It is possible to walk the trails of Lake Rausu on your own. However, there is no area for parking at the entrance of the trail. Additionally, it is easy to get lost and there are brown bears in the region, so I would strongly recommend those who are not experienced at trekking utilize a tour guide. I think if you go with a guide, you would be able to relax and learn much more about the nature on the road, thereby enjoying Lake Rausu all the more. There are no parking at the entrance to Lake Rausu. So you will have to park at Shiretoko pass and from there, you can either take a bus (3 mins, but only few) or walk (approx. 40 mins) to the entrance.